Following the huge success of previous years we’ve organised another specially commissioned Christmas Wine Tasting at the Chandos Deli in George Street, starting at 7.30p.m on Thursday 8 December. A dozen or more premium wines to taste under expert guidance, all of which are brand new to the Chandos tastings. PLUS: delicious snacks to accompany each wine prepared by the Chandos team which they promise will be at least as good as anything we’ve had before! And if that’s not enough to entice you there’s a 20% discount off bottles of wines purchased on the night! 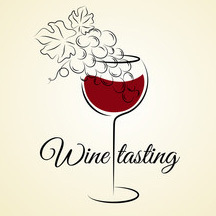 These evenings are a really informal and fun way of communing and we’d stress that you definitely do NOT need to be a wine buff to have a great time! Capacity is limited and in previous years the event has been heavily over-subscribed. So please email Keith Palmer palmerkeith9@hotmail.com as soon as possible if you’d like tickets which are £25 per person. This entry was posted in Social Events and tagged wine tasting. Bookmark the permalink.